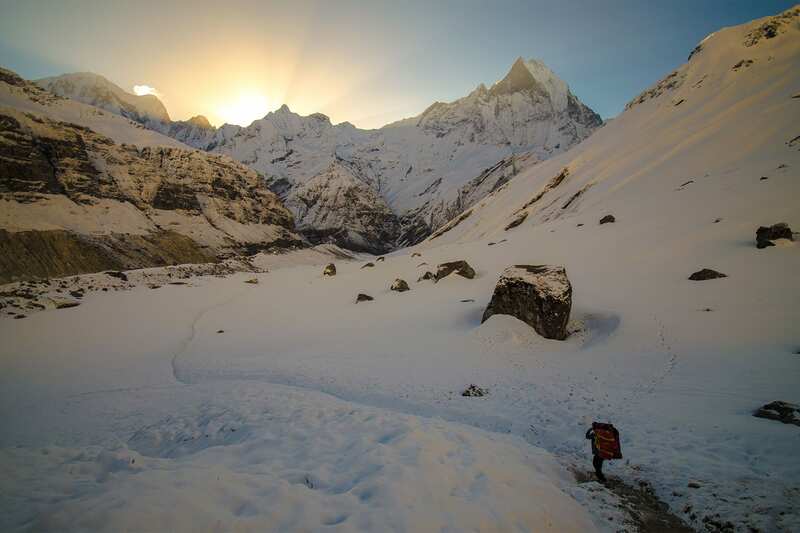 The Annapurna "Sanctuary" Basecamp Trek offers up some of the most pristine landscapes the country has to offer. 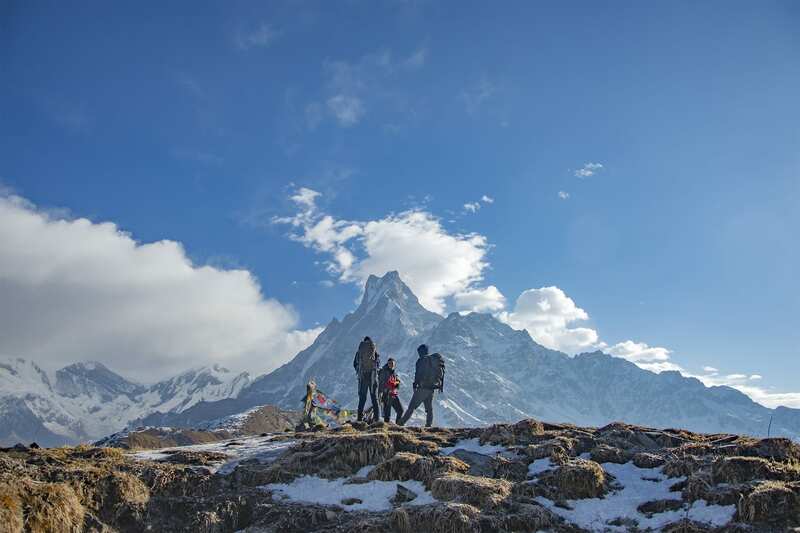 On this trek you will be in the company of local FlashpackerConnect professional trekking guides/sherpas. Upon your arrival to Tribhuvan International Airport you will picked up by a FlashpackerConnect representative and dropped at your hotel. 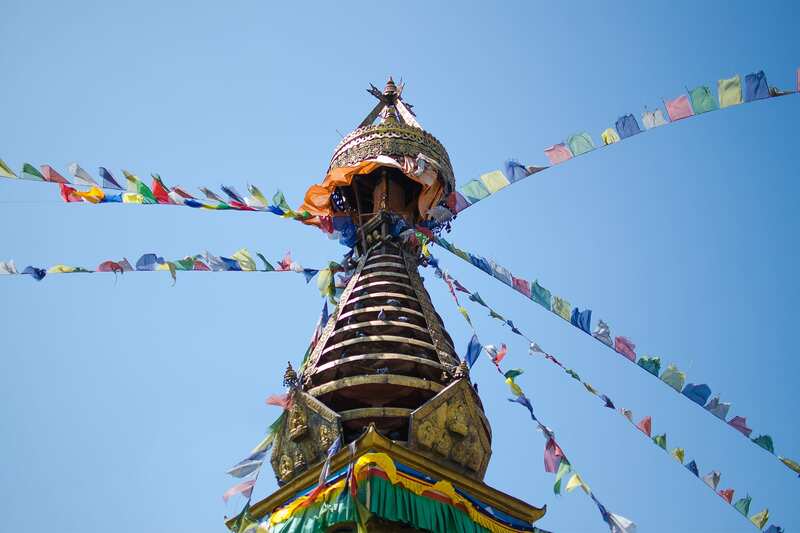 Today after breakfast at the hotel you are picked up by a your guide from the hotel and take you to the world heritage sites of Kathmandu, i. e. Monkey Temple, Boudhanath, Pashupatinath and Kathmandu Durbar Square. Early morning after breakfast we head towards bus park and catch a bus for 7 hours. This is another way to explore the country bit more than what we see. Upon our arrival we head to the hotel and relax. You can explore the town in the evening. 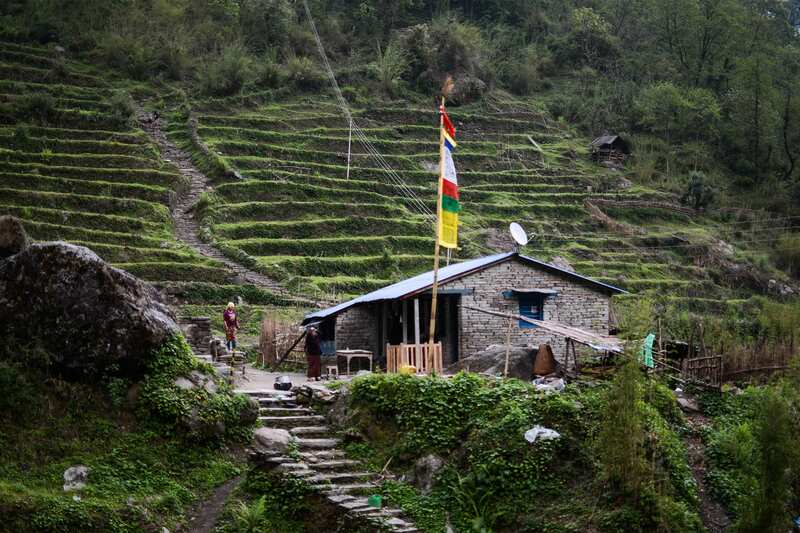 After breakfast you will be picked up and drive to the starting point of trekking which is Nayapul 1.5 hours of drive and start hiking towards the village called Ghandruk. We tonight stay at a local homestay. 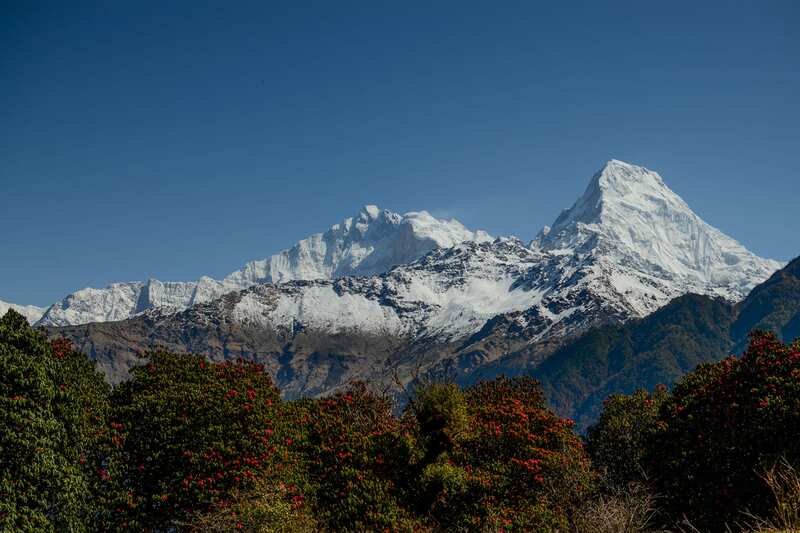 From this village we can see wonderful Annapurna South, Hiunchuli Machhapuchhre Annapurna III. 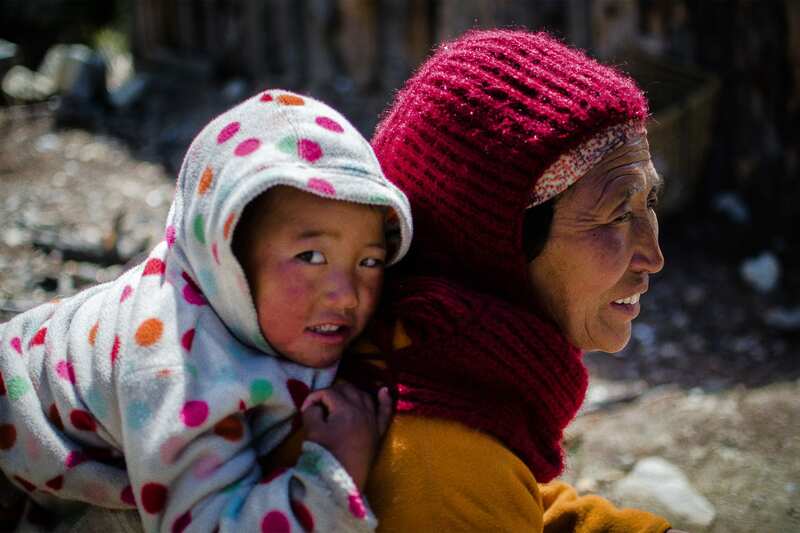 Our trek begins after breakfast and it is easy hike for the first hour and we reach to the village called Komrong. From here trail starts to go down to the Chomrong river and climbs for 3 hours up to the village is called Chomrong. The views of the mountains is better and closer from this village. From Chhomrong trail starts to go down again and climbs to Sinwa. 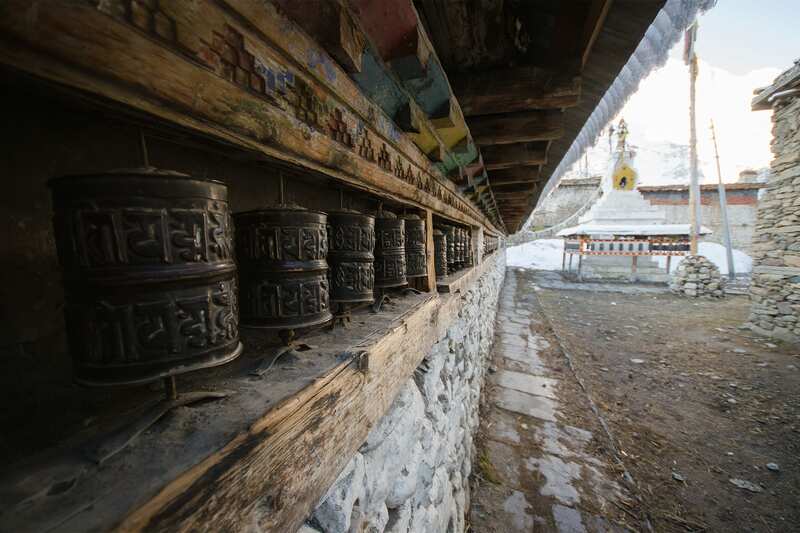 We will have our lunch at Upper Sinwa and the trail is gets easier from here. We might encounter some wild animals like Langur monkey etc. This place is surrounded by bamboos at the bottom of the valley and they named this place Bamboo. 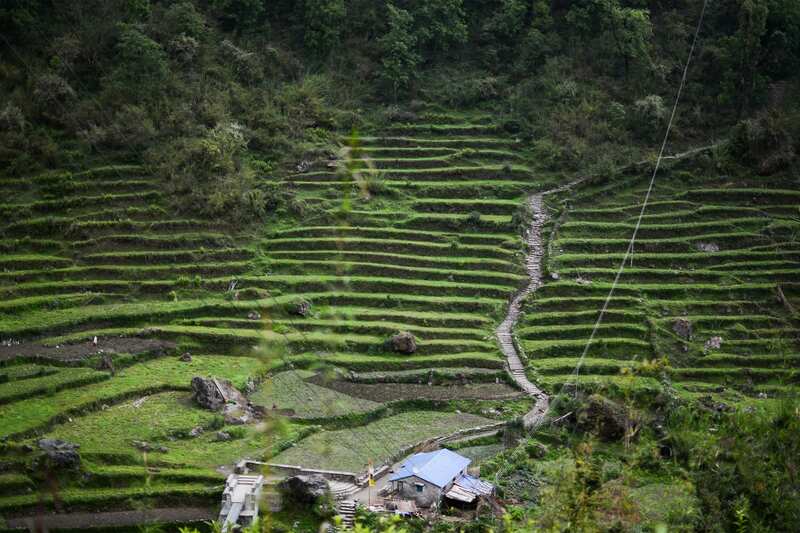 Trails today starts to go gradually up and we will be walking through the valley for 2 hours and we get to the place called Dovan and in another 2 hours we get to the place called Himalaya where we will have our lunch and move forwards for 2 more hours and we reach to our destination Deurali. From Deurali trail goes through the avalanche risk areas so we need to be careful about the rocks and snow but the valley starts to widen up a little bit and the trees turned into bushes and we will be above 3,000 m so we start to walk shorter distances and slower pace Machhapuchhre Base camp is an amazing place which is surrounded by the mountains. Machhapuchhre mountain is unclimbable/off the limit so they made it scared. 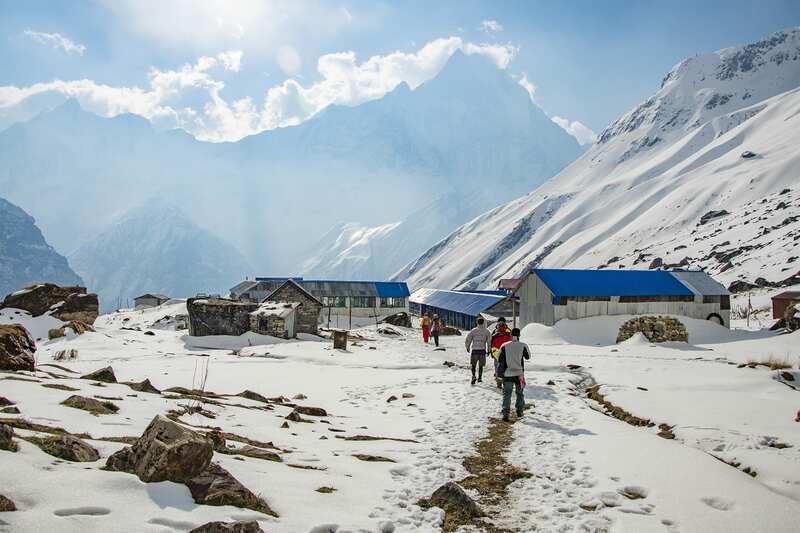 Today our walk will be 3 hours gentle hike and the trail is in the wider valley surrounded by massive snow capped mountains higher than 6,000-8,000 meter taller. Annapurna I is the tallest among them. 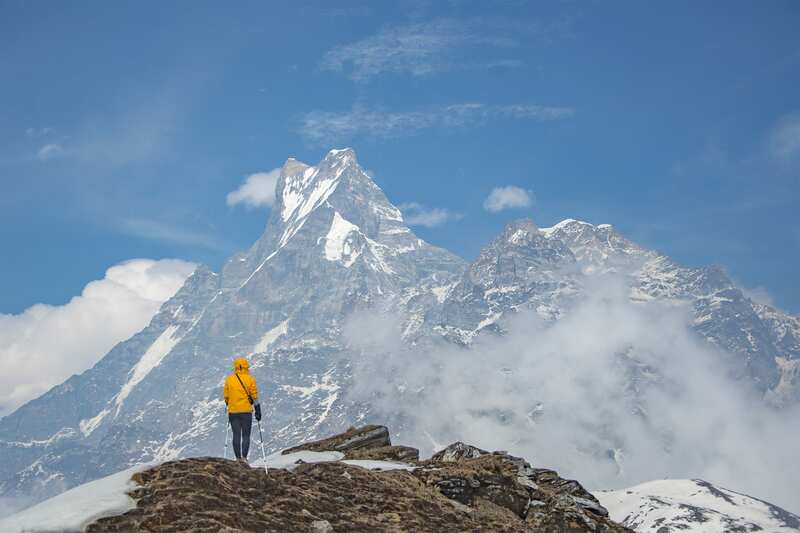 today we will enjoy our rest of the day by chilling in the sun and spectating these awe-inspiring view of Machhapuchhre towards our east will blow our mind. 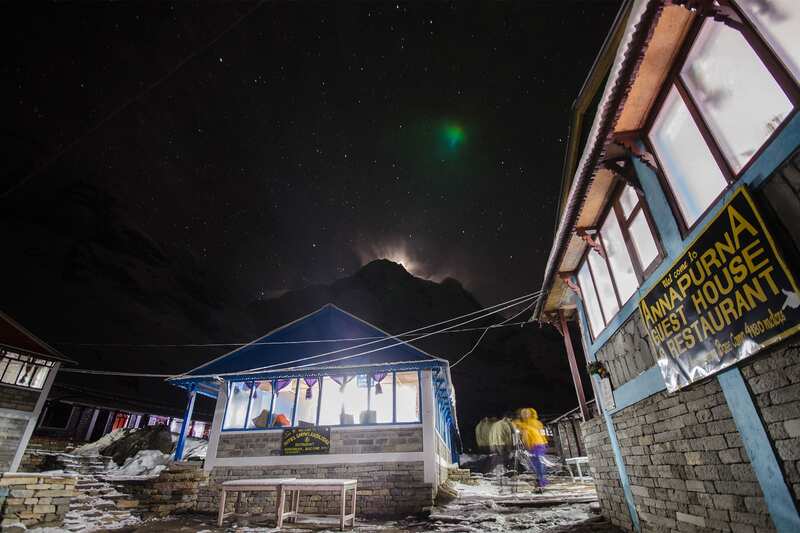 Sensational view of the near-vertical south face of Annapurna towering above us is just super amazing. The trek today will be mostly going downhill so it will be easy, faster and comfortable as well. Beside the view of the landscape won't fail to entertain us, We probably take 6-7 hours to walk down. From here it is an uphill upto Sinwa dada once again and downhill from here till Chhomrong khola and then we starts to climb towards Chomrong. 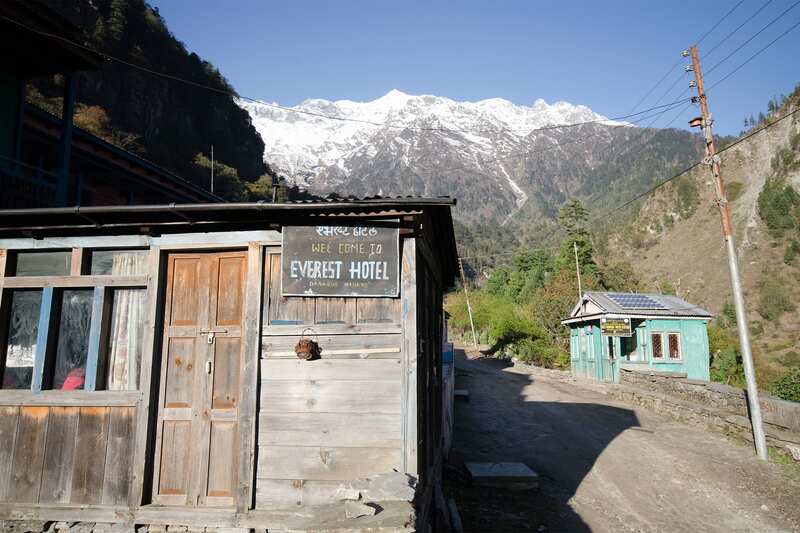 Then it decent to Jhinu dada this is where we will stay for the night. And today is the day where we can soak ourselves in the natural hot springs 15-20 mins down the hill. Today we have a relaxation day in the city of the beautiful Pokhara Lake.